Red Plating in Guitar Amplifier Valves – What is it? 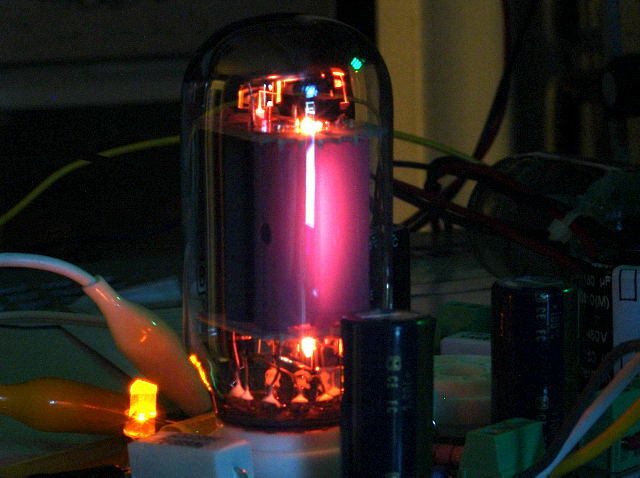 Red plating only occurs in one group of amplifier valves. Guitar amplifier valves fall into two main groups (ignoring power supply valves) and red plating only occurs on one group. The two groups are preamplifier valves such as ECC83 (12AX7) and power output valves (such as 6L6, EL34 etc.). Red plating can occur in the output valves but you will never see it in preamplifier valves. Valves are actually fairly simple devices. You have an ANODE which is also known as the ‘plate’. (You’ve probably guessed that it is the ‘plate’ or anode which glows red hot if your valve is red plating.) The anode is the positive terminal, usually at several hundred volts. Then there is the cathode which is close to ground potential. In between the anode (+ve) and cathode (ground) there is a control grid. Varying the voltage on the control grid varies the current which flows between the anode and cathode. Normally we set the DC voltage on the grid to get about 40mA of current from anode to the cathode. At this level of current, no red plating would occur. But if we allow a large current to flow, the anode (plate) gets very hot and starts to glow cherry red. Red plating is always a BAD sign and if you ever see it, turn your amplifier off immediately. If a valve suffers from this overheating for more than a minute or so you should probably consider it written off. The important thing about red plating is that it always indicates a fault condition, so turn the amplifier off as soon as you see it. The usual cause of this problem is having an incorrect voltage on the control grid. This voltage is also known as the ‘bias’. If we set the bias too high, too much current flows from anode to cathode and one or more valves will start to red plate. The bias circuit could be faulty and that will need repairing. If there is a bias control, it’s possible to set this incorrectly and you will observe this overheating problem. Faulty valves only rarely cause red plating, so changing the valve probably won’t help cure your problem. You will need to change it after you have cured the fault though. How to Cure Red plating in guitar amps. 99% of the time this is a bias problem. 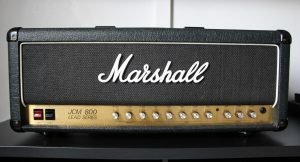 It will need sorting out by a tech but if you have access to a bias control on your amp, it’s worth adjusting this to see if the problem goes away. 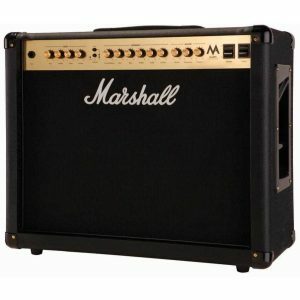 If your amp has been working fine and suddenly starts to red plate (particularly if the problem happens in more than one output valve) then it usually indicates a problem with the bias circuit itself. If you know what you are doing and can measure the voltage on pin 5 of the output valve to ground (the control grid) then it should be a negative voltage of around 30-40V. E.g. for a 6L6GC it will be about -38V. 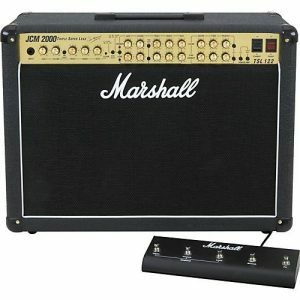 ← Does The Standby Switch Protect Guitar Amplifiers? Great article I finally understand this phenomenum now! Great! Always useful for toasting muffins as well!